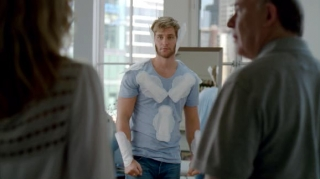 Clemenger BBDO Melbourne has launched 'Wonder Man', a new campaign for Libra Invisible Pads. The pads have a new style of wings, which keep them in place longer. The new TVC is a product demonstration with a twist. The campaign will run on TV and in cinemas, supported via print, in-store and washrooms.